Since Valentine's Day is right around the corner (literally). I thought it would be really fun to make Valentine cards with Nora and I wanted to make something easy. 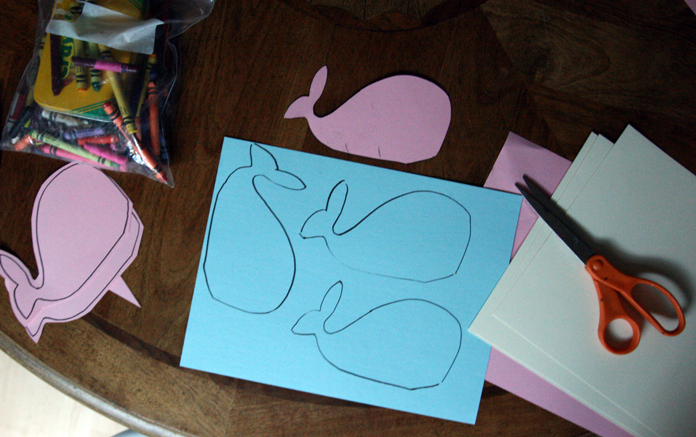 So these cards took literally about 5 minutes to make and Nora was very excited her cards were in the shape of a whale. 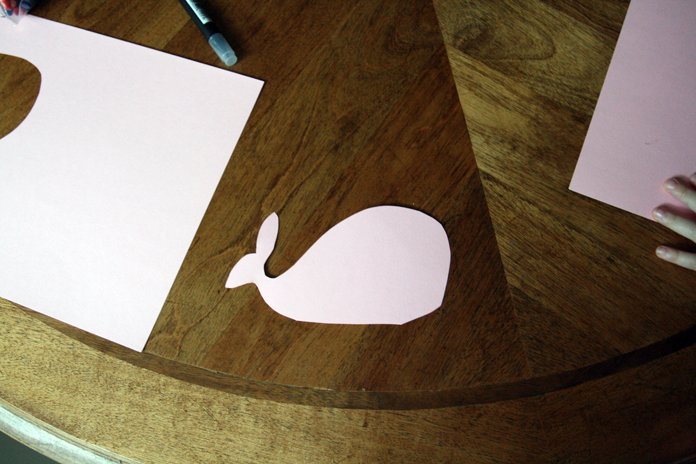 Draw one in the shape of a whale. It doesn't have to be perfect, they are cards from a toddler. Cut it out and use that as your guide to make the rest of your whales. Nora has started to work on her tracing, so it's a perfectly toddler activity too. 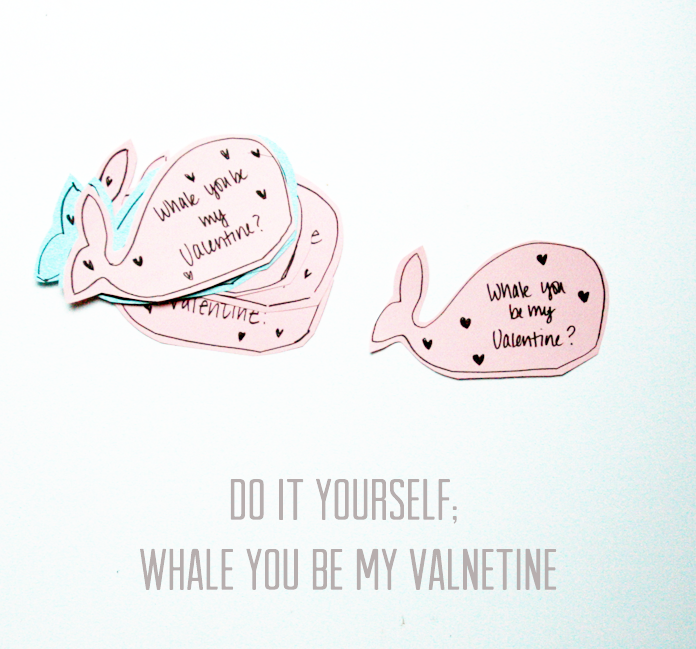 Cut out your whales and write, "Whale you be my Valentine?" Yep, that's it. Crafting Success.